The world leading company in the EVGA in the manufacturing of computer hardware has now introduces its remarkable effort towards gaming, the SC17 Laptop. The EVGA SC17 Gaming Laptop has come with the groundbreaking features and an eye-caching sleek body design with a beautiful and gorgeous 4K 17-inch display and 1.05-iches sleek, smarter and sharper graphics so that you can feel every detail lifelike and powerful processing system. The EVGA SC17 Gaming Laptop has Sharp 17.3 UHD 4K display with a resolution of 3840×2160 per 60Hz frequency and a Full High-Definition inspiring Webcam. Clear CMOS button on the chassis for true overclocking laptop, and a touchpad of Synaptics Clickpad 1.5 for a smooth functioning and a full sized keyboard with white backlit. 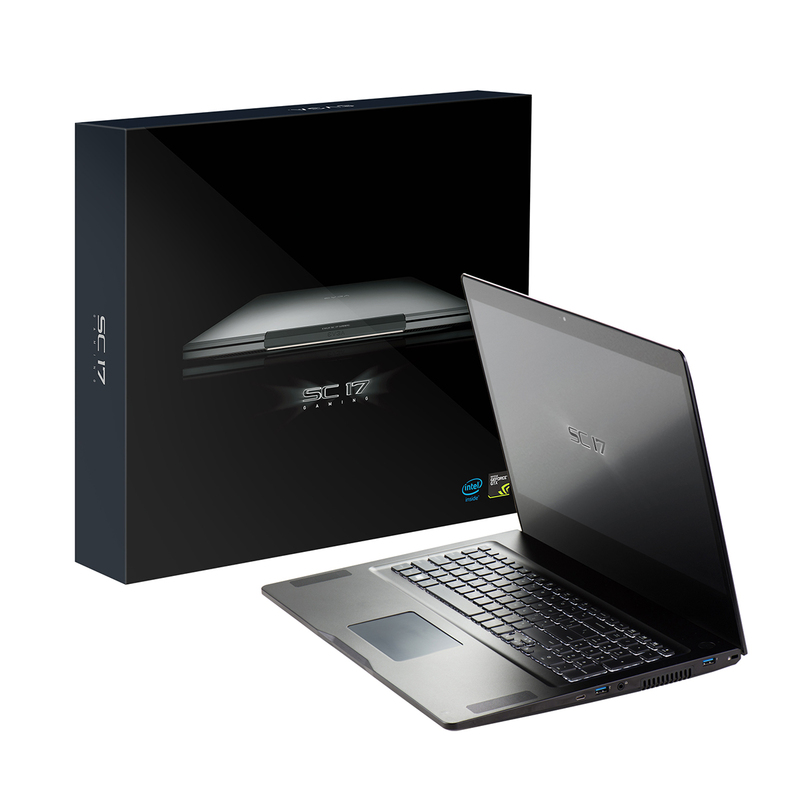 The EVGA SC17 beat the gaming laptops with its super powerful and advanced Intel Core i7 6820HK processer (Unlocked) and a graphics card of NVIDIA GeForce GTX 980M 8GB GDDR5, and a world leading operating system of Windows 10 Home (64 bit). The EVGA Gaming Laptop comes ahead with the whacking memory of 32GB RAM G.Skill 2666MHz DDR4 SO-DIMM (16GBx2) and a Samsung 256GB M.2 NVMe PCI-E SSD storage plus 1TB 7200RPM SATA 6G for the bulk of games within your Laptop. The EVGA SC17 4K Gaming Laptop has One HDMI, Two Mini Display, Two USB 3.0 Type A, and One USB 3.1 Type C Ports. The laptop has connectivity of Bluetooth 4.2, a dimension of 16-inch in width, 11.6-inch in length, and 1.05-inch in thickness and weighs only 4.54kg (10lbs).